Last week, we got a peek at HTC’s J Butterfly Japan-only Android phone, with a huge 1080p 5-inch display that manages a crazy 440ppi pixel density, and today, Android Central (via The Verge) is claiming a new North American HTC flagship phone coming to Verizon will offer the same screen on our shores. 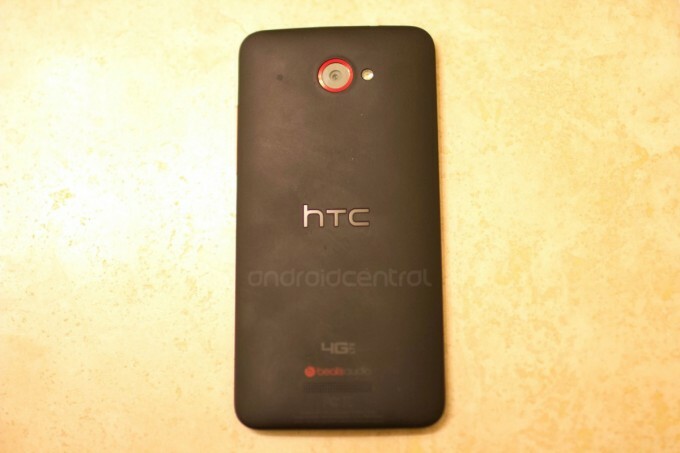 The HTC DLX, as the report claims it’s called, appears to share both design and specification cues with the J Butterfly, and would be Verizon’s first One-series smartphone. Specs according to Android Central include the 1080p 5-inch display, as well as either an 8MP or 12MP rear shooter, as well as a quad-core processor (possibly the Qualcomm Snapdrago S4 Pro at 1.5GHz according to an earlier leak by xda-developers forum member Football) and 2GB of RAM, plus 16GB of internal storage and a 2,500 mAh non-removable battery. Android 4.1.1 with Sense 4+ will be on-board in terms of software, according to the leak, and it’s also an LTE capable device. The report also says we should see this launching with Verizon sometime around Thanksgiving. HTC reported earlier that the J Butterfly’s display would make its way out to other markets, and we’ve previously heard that such a device was on its way and possibly headed to Verizon, so there’s good reason to believe this is real. Also, the specs are in line with that Japan-only smartphone, so it could essentially be a reworked design of that device aimed at the North American market. And if, like me, you’ve been very impressed by HTC’s recent offerings, there’s good reason to get excited about such a possibility, too. But not too excited, now that we’re living in the days of elaborate 3D renders that can do a damn good job of fooling the naked eye.